More than 50 children of punk shaved sharia police in NAD after watching a concert. 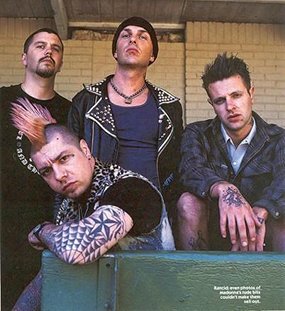 Apparently, the news reached the punk rock band from the United States, Rancid. How did they respond? The band formed since 1991 ago it was concerned over the incident. Through his Twitter account, Rancid expressed sympathy. "We hate what's going on with our brothers and sisters of punk in Indonesia. Rancid's got your back!" write band singer 'Ruby Soho' it. A total of 59 young men and 5 women arrested by police sharia. The youths shaved and women cut their hair short. They were then told to bathe in the lake, then changed clothes and prayers. This incident is also under the spotlight of foreign media like the New York Daily, The Telegraph, Washington Post, the Daily Mail, Sydney Morning Herald, CBS News and so on.